As the trees blossom and the sunlight becomes a more permanent fixture in the Pacific Northwest, the spring season is in full bloom for Bittersweet Chocolates. 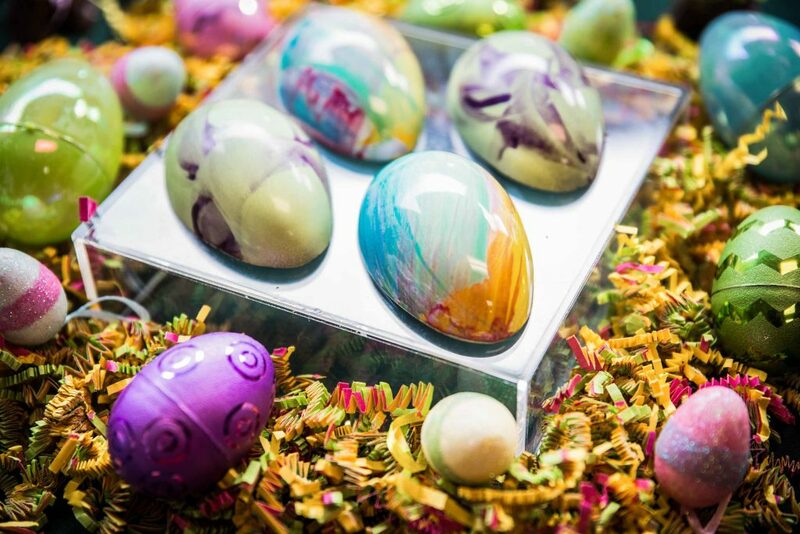 Co-owners, Cindy Uhrich and Deb Smith have a season filled with special events and new Easter chocolate in varying shapes and fillings including new spins on childhood Easter candy favorites. The shop will be bustling for the Oly Third Thursday event, hosted by the Olympia Downtown Alliance. And as the month of April continues, Bittersweet is participating in a plethora of other local events, including their own special celebration of the Spring Arts Walk. Bittersweet Chocolates is expanding beyond their shop doors and will be helping to cater and participate in a number of community events. They are supplying chocolates for the Dispute Resolution Center’s annual fundraising event called The Toast. The Dispute Resolution Center educates community members on how to achieve healthy conflict resolution skills and the center provides tools to help with that healthy communication. The Toast will take place at Hotel RL in Olympia on Sunday, April 14. The event will feature refreshments from local wine and cider producers, as well as hors d’oeuvres and treats from local businesses, including Bittersweet Chocolates. On April 27 and 28, Bittersweet will bring their chocolates up north to Tacoma to participate in the LeMay Wine, Spirits and Chocolate event located at the Marymount Event Center. Bittersweet Chocolates will be distributing chocolate samples, as well as offering a selection of truffles for sale. Participating in events allow Uhrich and Smith to expand their reach out into the local community and beyond and it provides opportunities for others outside of the Olympia area to experience Bittersweet Chocolates. As a part of Olympia’s downtown neighborhood, Bittersweet is also participating in the Oly Third Thursday event. Hosted by the Olympia Downtown Alliance, participants can sip and stroll through downtown, where participating shops and restaurants feature later hours, promotions, sales, coupons and even live music. At Bittersweet, the Third Thursday event will mean free pours of wine and free chocolate samples. “It’s a nice event for the local businesses to showcase who they are and to invite the local community to come down and take advantage of their downtown,” says Uhrich. For the upcoming Easter season, Bittersweet has every sweet tooth covered with their special holiday flavors. 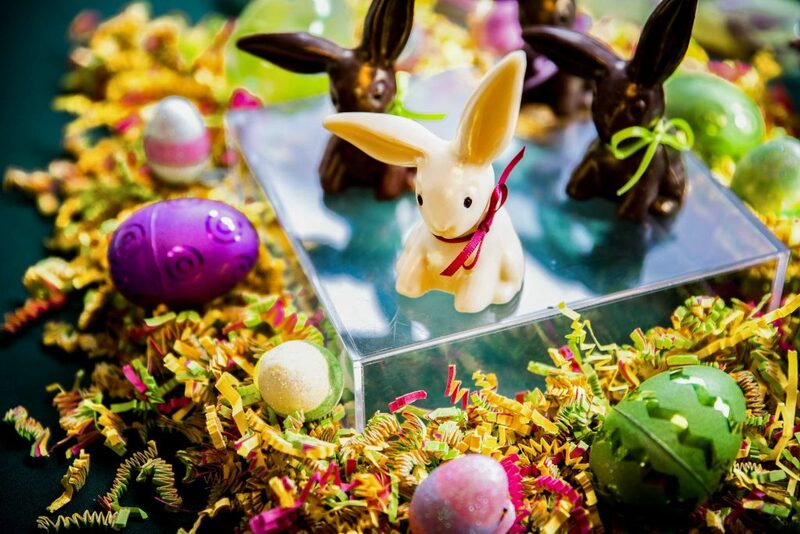 As an Easter staple, Bittersweet will offer chocolate rabbits in dark, milk and white chocolate variations. 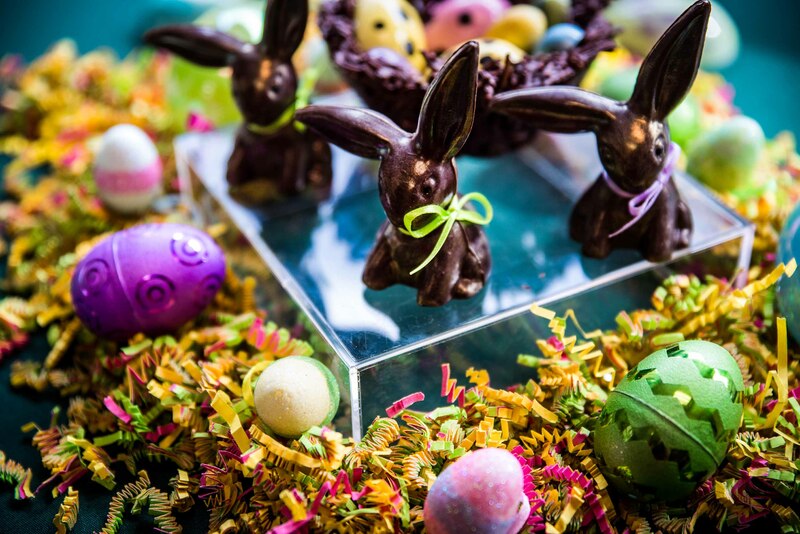 With a rice-noodle base, Uhrich and Smith created a chocolate nest filled with small egg truffles, with peanut butter, chocolate fudge and marshmallow caramel fillings. Individually boxed, three-and-a-half-inch eggs are also being confected in an array of pastel colors. The eggs will feature fillings with walnut fudge, toasted coconut and lemon ganache. 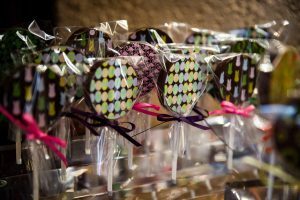 In addition, Bittersweet will offer an assortment of chocolate pops featuring a range of Easter and spring-themed prints. 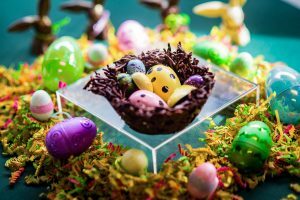 Orders for Easter treats can be placed ahead of time. Looking ahead to the summer months, Bittersweet is offering unique options for Mother’s Day as well as an expanded chocolate menu. Mother’s Day will bring around a specialty selection of chocolates all themed around celebrating Mom. The shop will also continue the tradition of chocolate covered strawberries available in a special-edition box. In addition to solid chocolate truffles, Bittersweet is going to introduce new ways to experience chocolate, including through chocolate drinks and chocolate soda, when the weather heats up. To learn more about Bittersweet Chocolates and the flavors they offer, visit the Bittersweet Chocolates website. Special orders for the Easter Season are now available.